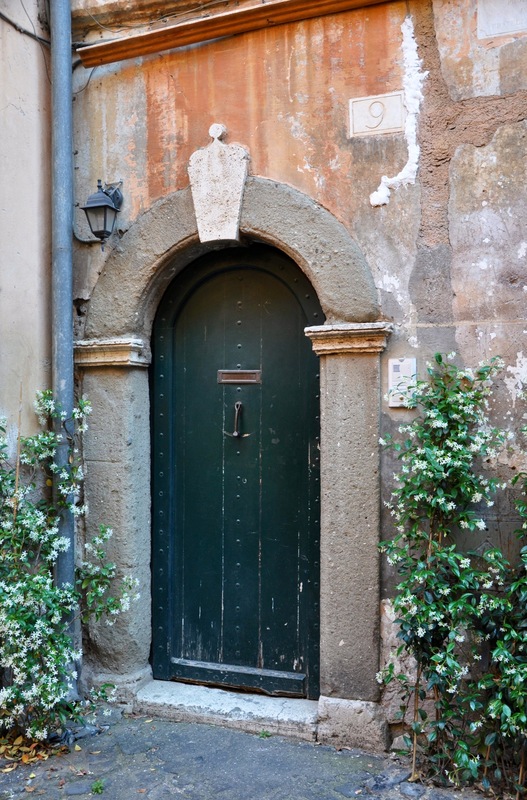 When I was invited to join a Twilight Trastevere Tour in Rome last week, I had an inkling it was going to be good. I just didn’t know how good. Having been to Rome before, I was keen to ditch the fake Roman centurions down by the Colosseum and the crowds of people sitting on the Spanish Steps. The former working-class neighbourhood of Trastevere, in English meaning “across the Tiber”, buzzes at night and has a restaurant almost on every corner. 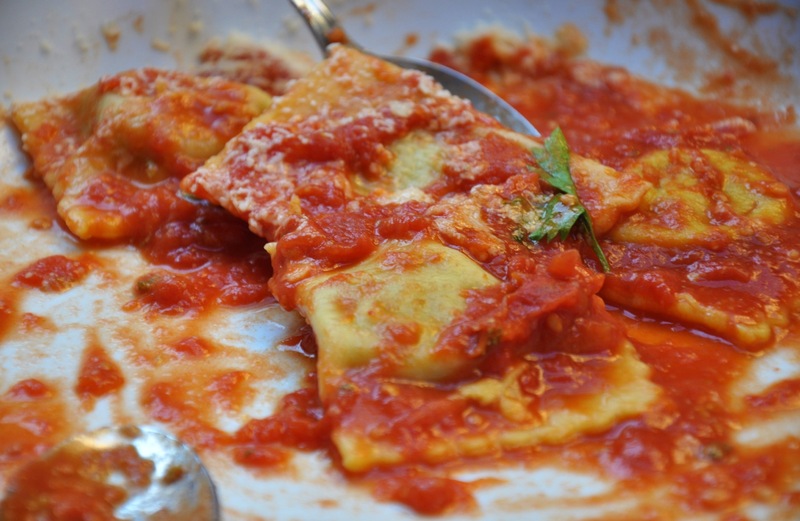 Knowing where to start was the problem, and with limited time, I was keen to join Eating Italy’s tour so they could show me around. 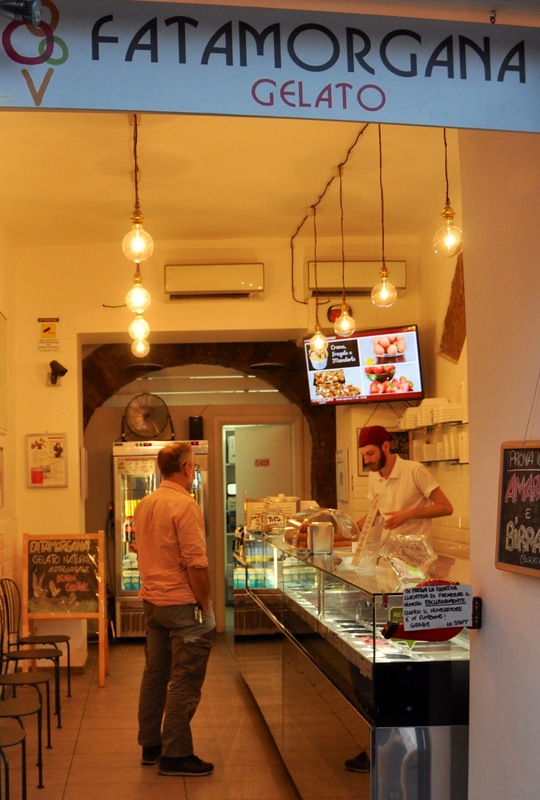 The tour takes in around eight to ten stops in an eclectic mix of delis and eateries, rounded off with a lesson in how to identify real gelato from the fakes. It would be the perfect way to spend an evening, I decided. Sebastiana, our knowledgeable and very entertaining guide, half Italian and half American, had the cultural knowledge and understanding to bridge both the places we were visiting and the largely American clientele who made up the tour group. She was effervescent, bubbling away (in a good way) like a chilled glass of Prosecco and just as welcome a companion on a sunny evening. 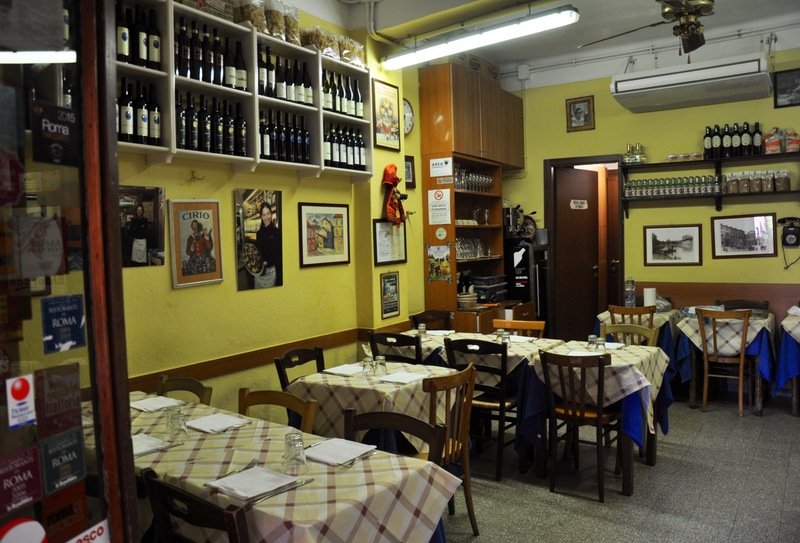 Our first stop was to a tiny trattoria called Da Enzo al 29. 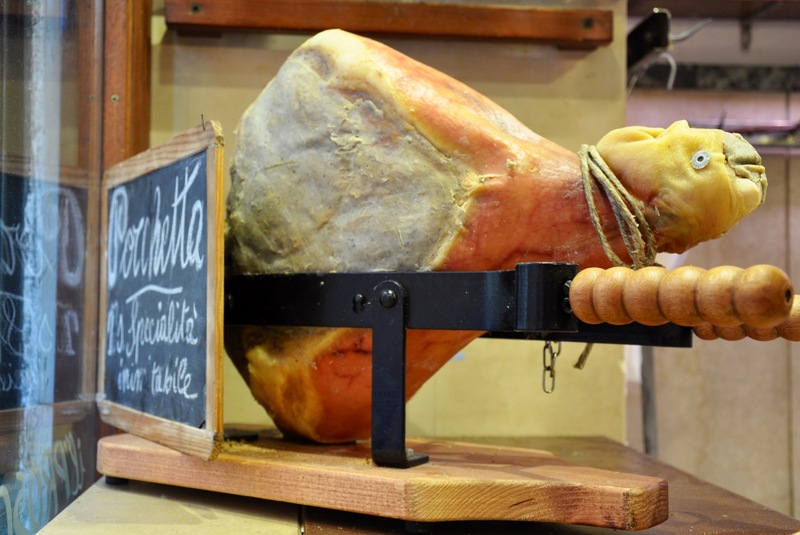 Getting a table here is difficult, but we beat the crowd for a glass of Prosecco accompanied by a delicious starter of prosciutto, melon and a delicious cheese called burata. Here we were introduced to “aperitivo” – an Italian ritual firmly based around the understanding that one should never consume alcohol without food, something I should bring back to the UK with me, I felt. The second stop on the tour took us underground and back in time. The Ristorante Spirito di Vino was once a synagogue, as evidenced by the Hebrew lettering on its stonework. There, in a wine cellar dating from the first century BC, we tried taster portions of three scrummy local favourites: frittata, a kind of spaghetti omelette (far tastier than that sounds), followed by Maiale di Mazio, a slow-roasted pork dish and favourite of Caesar, no less, and finally a whipped cauliflower and cheese dish. Iliana, the chef, clearly knew her stuff and if I hadn’t have been leaving on that evening’s night train, I’d have begged her for a table for dinner. 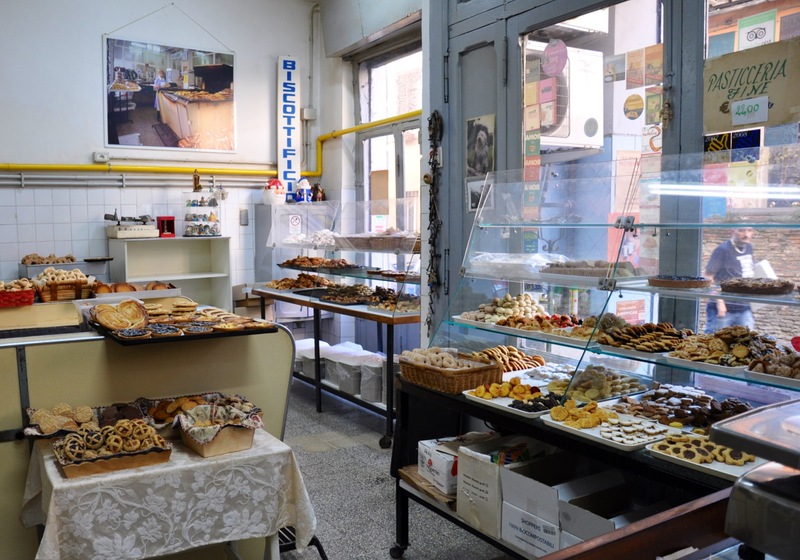 Afterwards, we strolled through the backstreets to a family-run biscotti place so local that it didn’t even have to have a sign outside. I’m not a nut fan, so passed on the hazelnut brutti ma buoni (it means “ugly but good”), but judging by the reactions of the rest of the group, I’d say I missed out on something good. The Innocenti family have run this place for years, with recipes little changed in half a century, and sell by weight. If you have a sweet tooth, this would be the place to hang out. Another neighbourhood “celebrity” was Signore Roberto who ran the nearby Antica Caciara, a cheese and meat deli that was our next port of call. 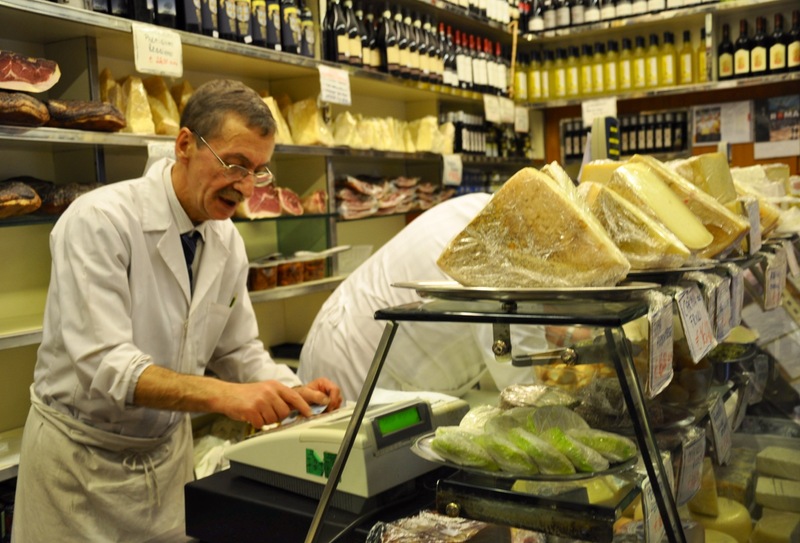 Over a century of trading makes this a real gem of a place to sample the deliciously salty Pecorino Romano cheese made in the traditional way by Roberto’s uncle. Sebastiana taught us how to order: un etto being 100g and due etto, 200g. Now what was half a kilo, again? From there, we moved on to meat, porchetta to be precise, at La Norcinera, named after Norcia, an Umbrian town where this pork comes from. This wasn’t like the tough, dry supermarket pork that we are forced to endure in the UK, its goodness sucked out by the healthy eating do-gooders. This was juicy, fatty, melt in the mouth pork, hung from hooks on racks on the ceiling to tempt even the most fastidious of dieters to fall off the wagon. Served on pizza bianca, I didn’t stand a chance. 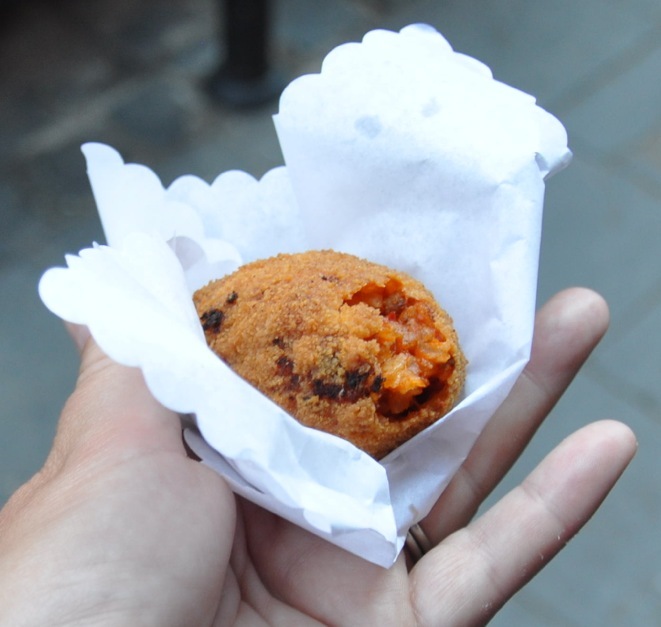 When Sebastiana described suppli’, our next offering, I have to admit, it didn’t sound as good. It was nothing to do with her skills as a host, but more to do with the fact that suppli’ are deep-fried and, despite skipping lunch, I was beginning to feel very full indeed. These fast food treats of rice cooked in tomato sauce and stuffed with cheese are to Roman nights out what a kebab is back home – except that they taste amazing! In spite of myself, I wolfed mine down in record time and could quite happily have gone back for seconds. 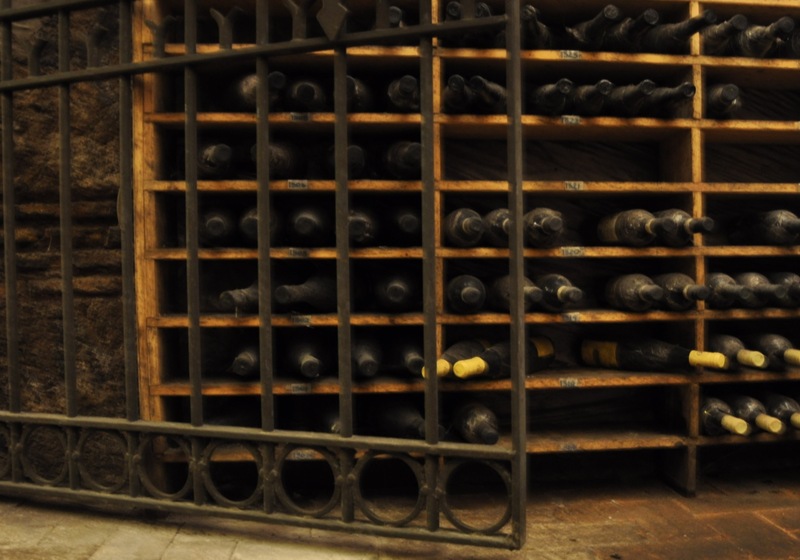 The penultimate stop was at Enoteca Ferrara. An enoteca is an Italian wine bar but remember, Italians never drink without food; here we had a private table in the al fresco dining area out back, where we prized delicious ravioli away from Sebastiana (it’s her favourite) and feasted on gnocchi and cacio e pepe, a kind of square-ish spaghetti, literally translating as “cheese and pepper”. Rich but not overpowering, it was a lesson in how pasta should be served, and utterly more-ish. But there was one place left to visit, and the one for which no one wanted to be too full. Fatamorgana makes real gelato – not the fake stuff – but with an originality of flavours that sets it apart from its competitors. I couldn’t resist the zabaglione flavour, a dessert that Mum used to serve us years ago, while the more adventurous could opt for flavours such as rosebud and black sesame, pear and Gorgonzola cheese and even pink grapefruit with ginger, horseradish and preserved lemon peel. This entry was posted on June 3, 2015 by juliamhammond. It was filed under Destination information, Europe, Travel guides and was tagged with Eating Italy, Italy, Rome.